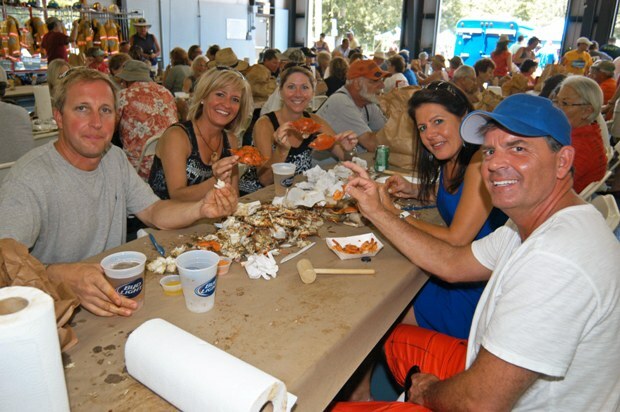 The Tilghman Island Volunteer Fire Department will hold its annual Summer Seafood Festival starting at 11:00 a.m. on Saturday, July 20, 2019. The festival will be held at the fire department and adjacent Kronsburg Park on Main Street, Tilghman Island. Food to be served includes steamed crabs, clams, steamed shrimp, barbecue chicken, hot dogs, corn on the cob, french fries, and more. There will be plenty of ice-cold beer and sodas as well as children’s activities, games, nautical artisans, craft vendors and an indoor flea market. Live music will begin at noon. Bring the whole family for a day filled with fun, sun and seafood. All proceeds go to the Tilghman Volunteer Fire Department. Free admission, all food items priced separately.